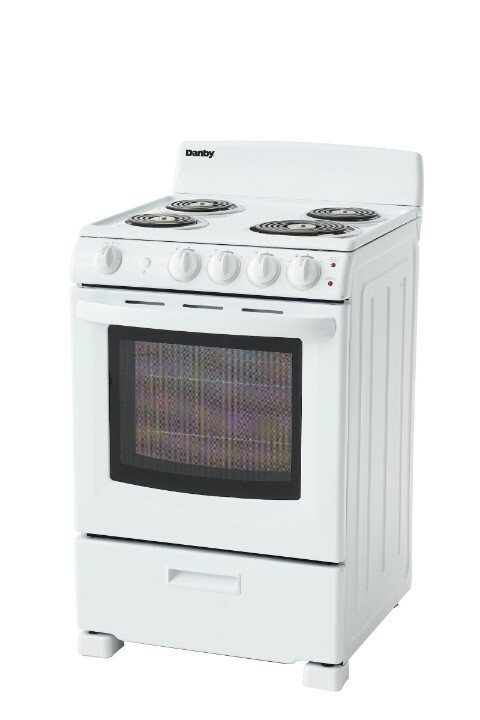 You don’t need to be a world-class chef to enjoy cooking with this compact electric range by Danby. This attractive model may only be 24-inches wide, but it comes with everything you need for fine dining. 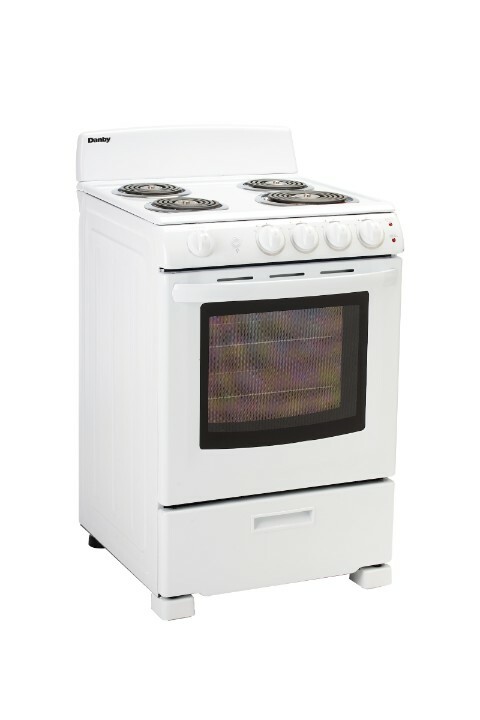 This includes an oven and four burners: one eight-inch coil element and three six-inches. 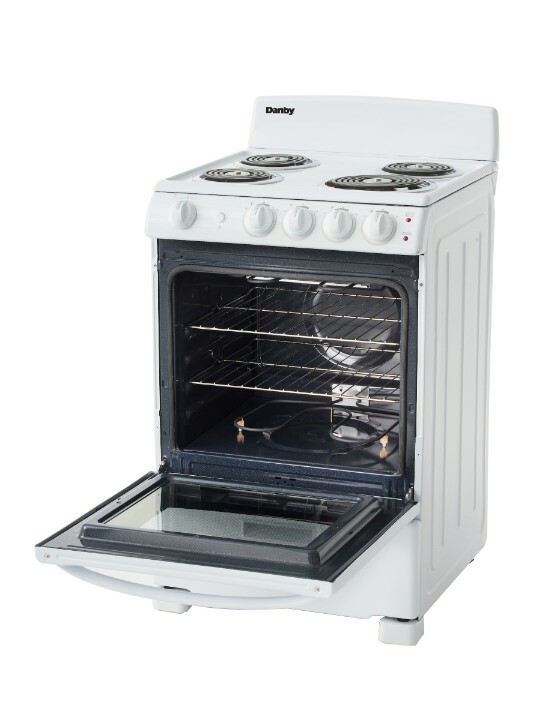 This trendy appliance provides 2.9 cubic feet of oven space making it ideal for smaller apartments or cottages. It boasts a spill proof easy-to-clean porcelain cooking top. 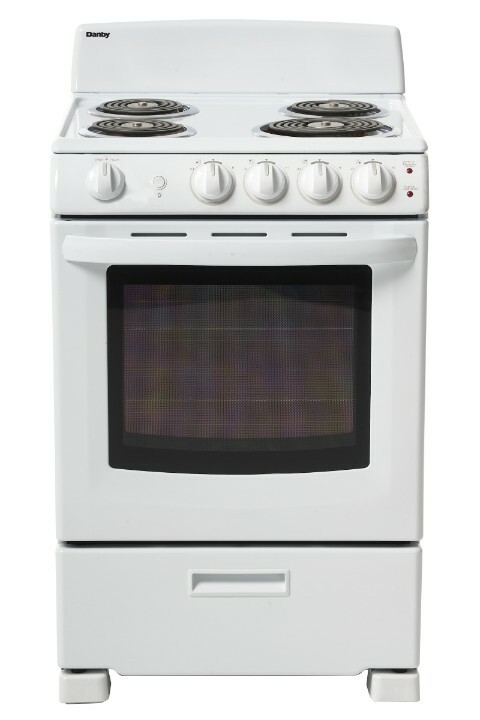 The oven temperature range is between 250°F and 500°F while the broiler can dish out 2,400 watts of power. 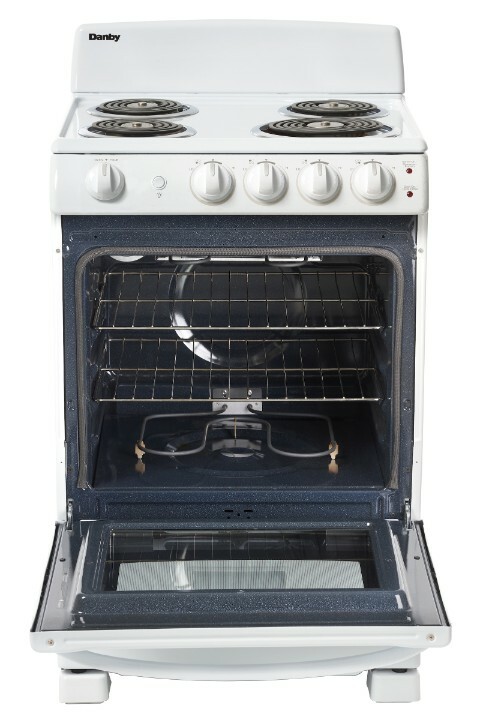 This dependable electric range comes with push-and-turn knobs for added safety and includes two oven racks with four adjustable positions and safety stops for optimal cooking. A large view window with interior light allows you to keep an eye on your food while it bakes. 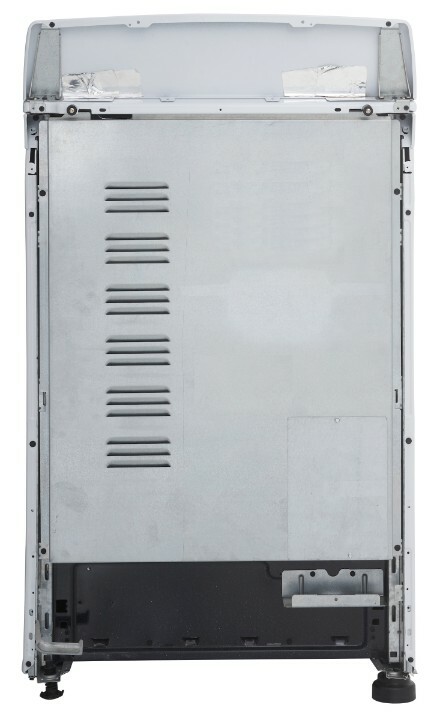 Temperature limiting coils turn off when the pan reaches the maximum temperature in accordance with UL 858 60A. 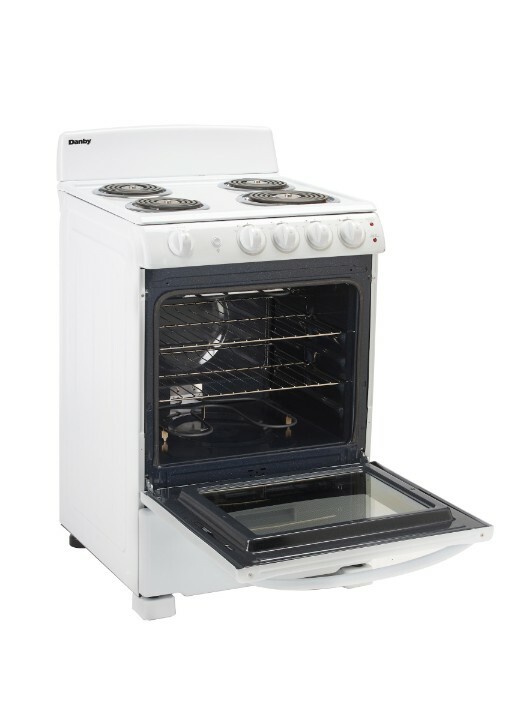 This range is ADA compliant and also offers a 18-month warranty on parts and labor with convenient in-home service. Large View Oven Window with Interior Light: allows you to keep an eye on your food while it bakes. 18 months parts and labour with in-home service. Installation and/or yearly maintenance (cleaning) are not covered under warranty. 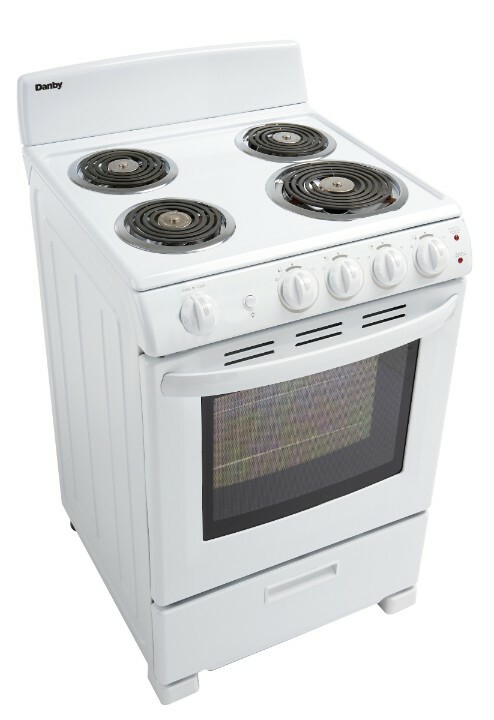 Can you walk me through switching my stove from propane to natural gas or vice versa? We do not recommend you do this yourself. This needs to be done by a qualified service professional.